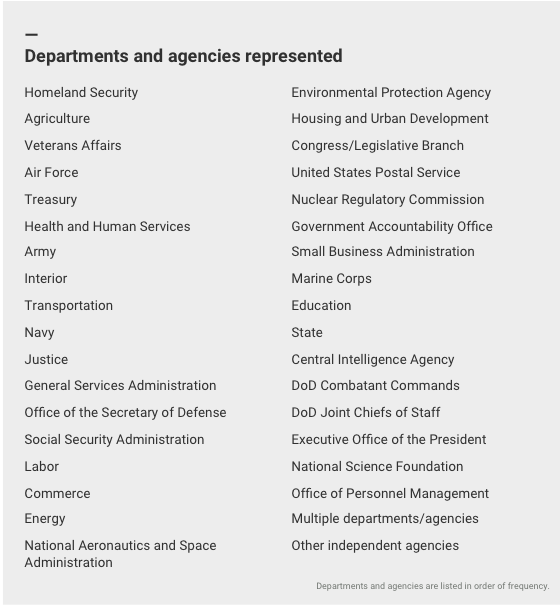 As reported exclusively by Government Executive. 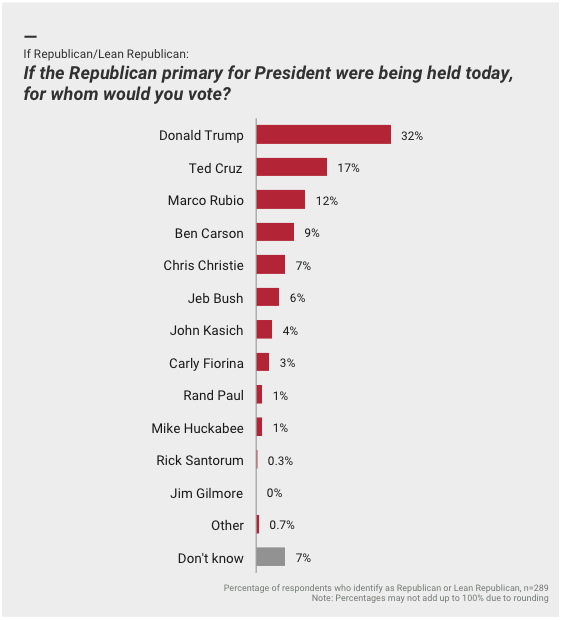 Donald Trump continues to hold a commanding lead in the GOP primary field among federal government employees, according to an independent Government Business Council / GovExec.com poll released on January 27, 2016. 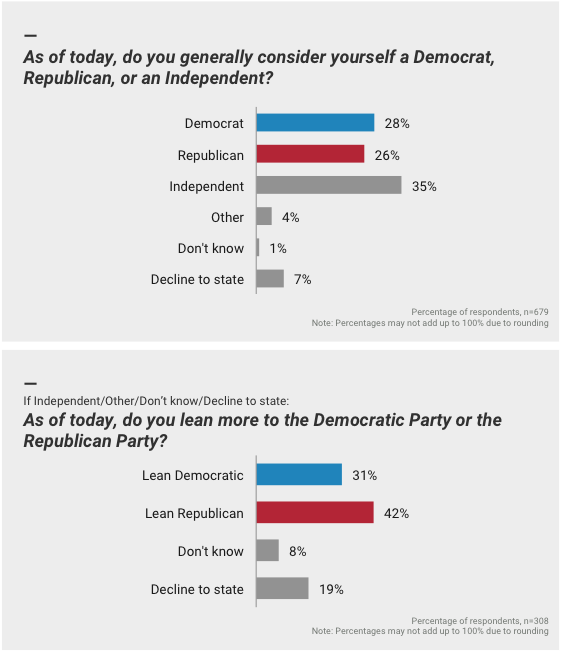 Trump receives 32% of the vote from feds who identify as Republican or Republican-leaning Independents, increasing his share by 12 points since August 2015. 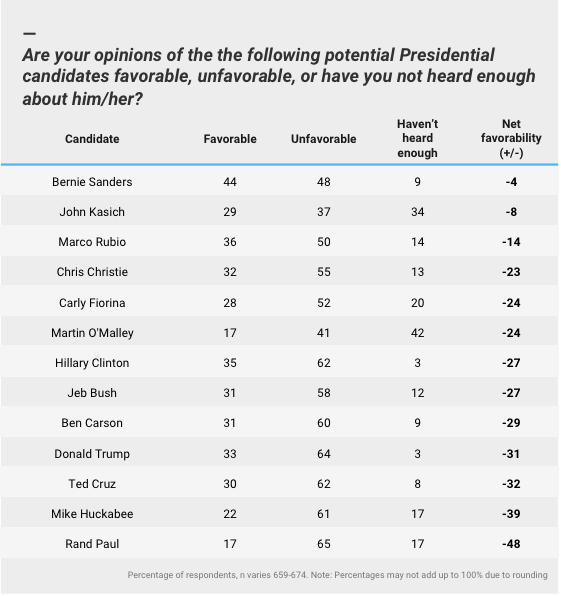 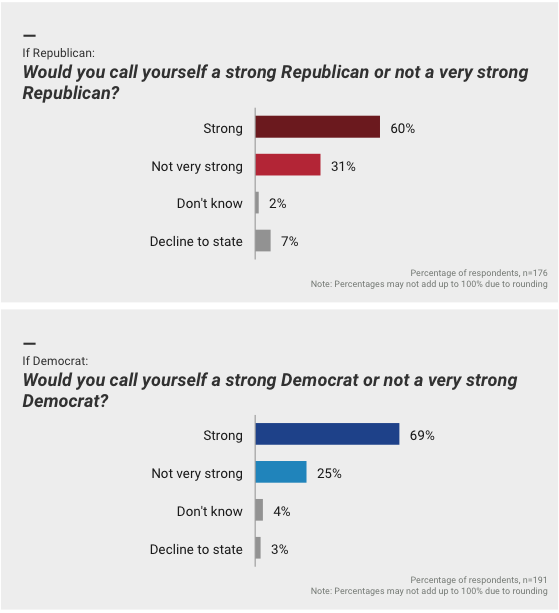 He is followed in the GOP field by Ted Cruz (17%), Marco Rubio (12%), and Ben Carson (9%). 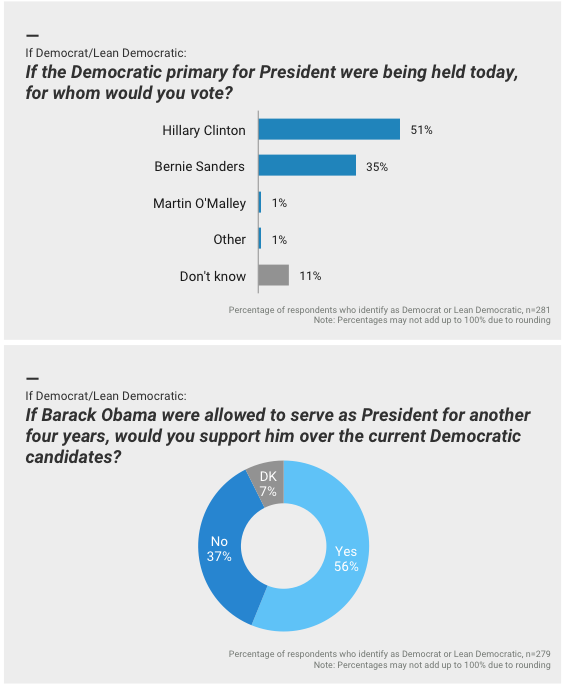 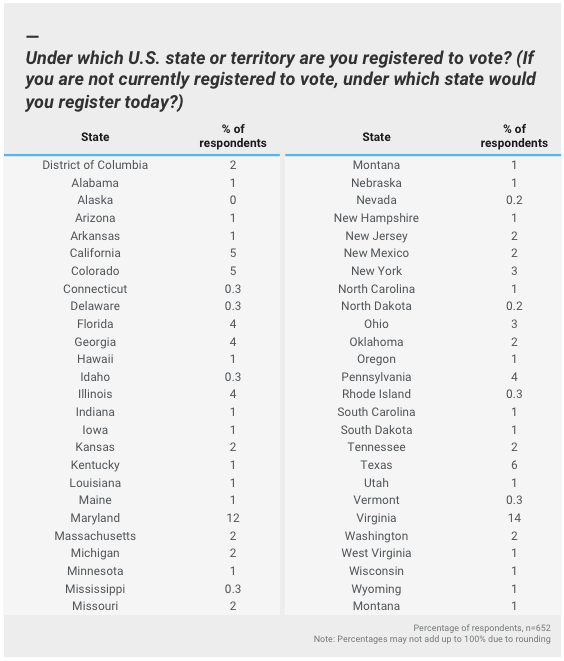 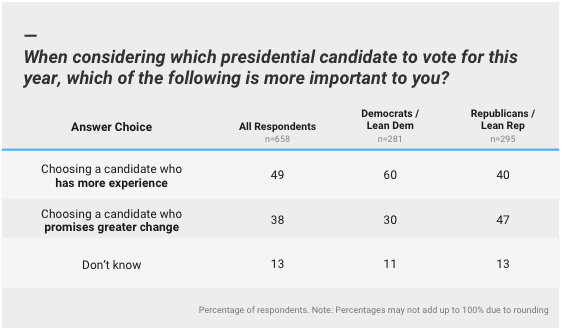 Former Secretary of State Hillary Clinton receives support from 51% of Democrats or Democratic-leaning Independents in the poll, followed by Bernie Sanders (35%) and Martin O’Malley (1%). 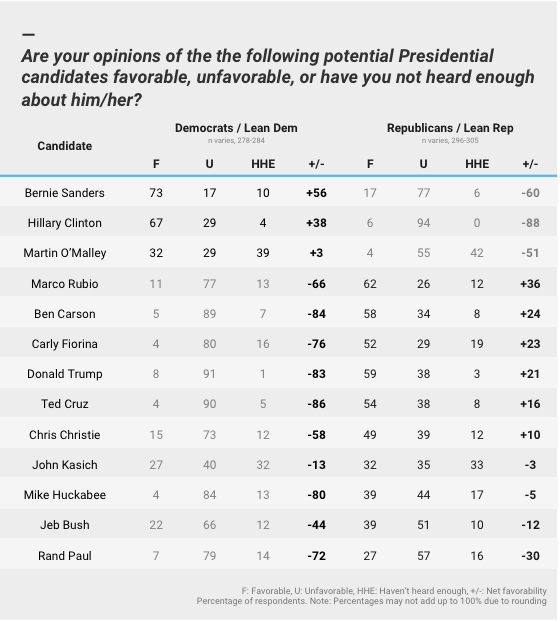 However, Sanders enjoys the highest net favorability ratings across all candidates and participants in the study, as well as a net favorability score 17 points higher than Clinton’s among Democratic voters. 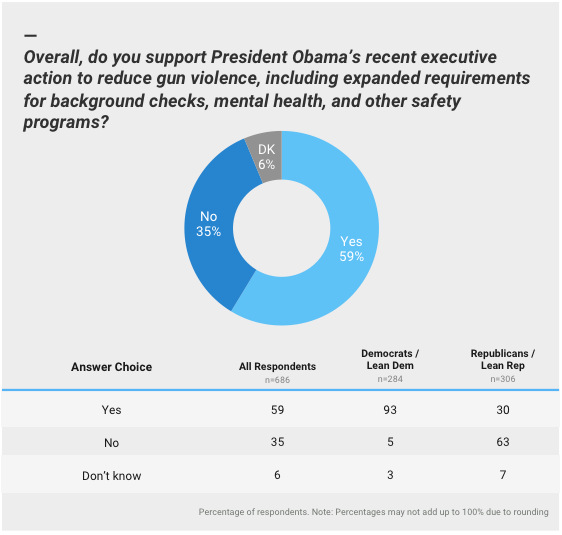 A majority of federal employees approve President Obama’s recent executive action to reduce gun violence, with 59% in support, including 93% of Democratic voters and 30% of Republican voters. 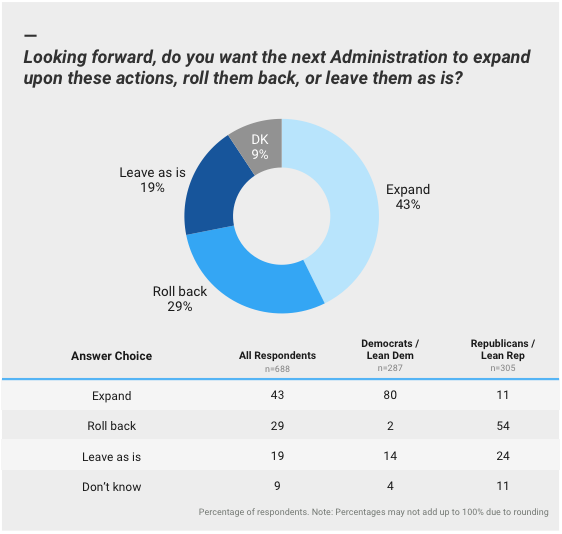 Government Business Council, the research arm of Government Executive Media Group, sent the email-based survey to a random sample of Government Executive, Nextgov, Defense One, and Route Fifty subscribers. 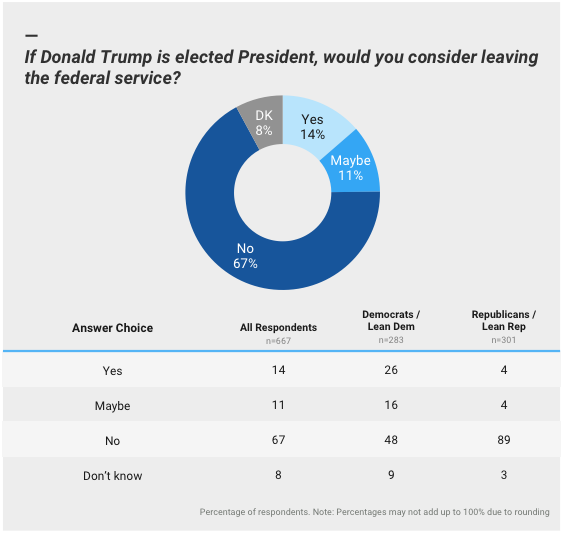 From January 20-26, 2016, 688 federal employees participated in the survey. 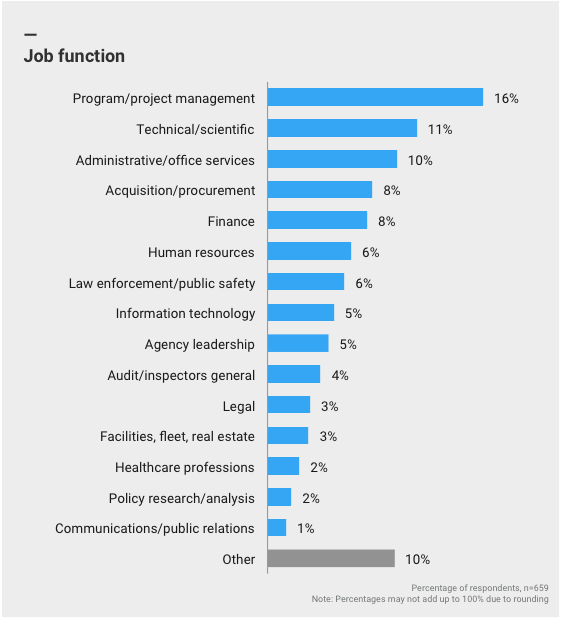 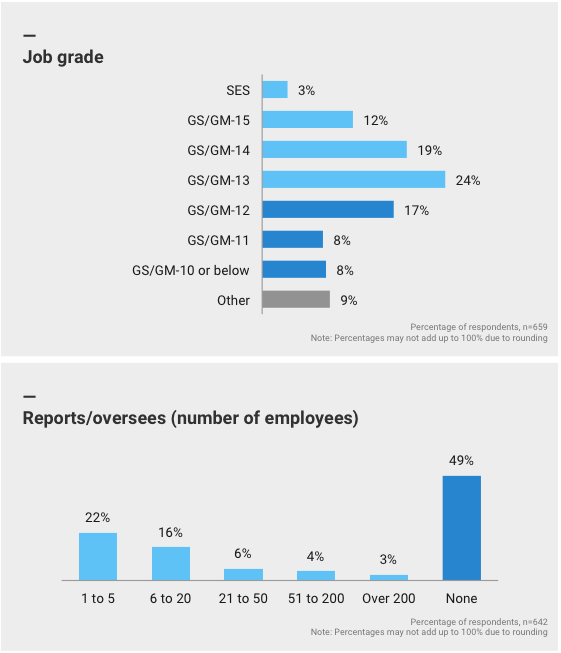 58% of respondents rank GS/GM-13 and above, including members of the Senior Executive Service and representatives from at least 30 federal civilian and defense agencies. 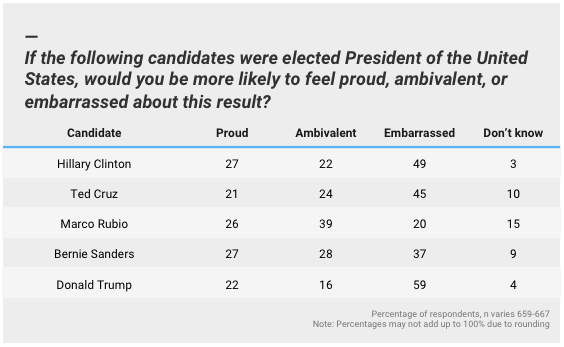 The margin of error is +/-4%.